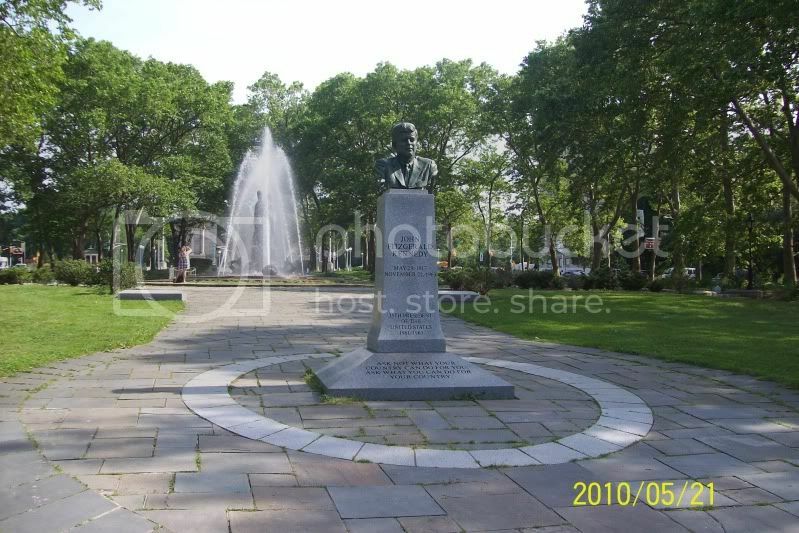 As people familiar with Brooklyn may know, in 1965 a bust of the late President John F. Kennedy, mounted on a marble block, was placed in the Grand Army Plaza section at the northern end of Prospect Park. It was inscribed with the President's name, dates and the famous quote: Ask not what your country can do for you; ask what you can do for your country. It became a place of pilgrimage for "people of a certain age," sort of a surrogate grave for those of us who could not get to the real one at Arlington. On May 29, the President's birthday, and November 22, his yahrzeit, people would visit the monument to pray, leave cards and flowers and light candles. I would pass the monument quite often running, and I would always stop to say a few Psalms, standing off to one side so it would not appear as if I was, God forbid, praying to a statue. Over the years the monument was defaced with grafitti, some of it obscene. It was not designed to be vandal-proof (remember, it was put up in 1965 when no one would think of defacing a memorial to a President) and cleaning it would have damaged the inscription. 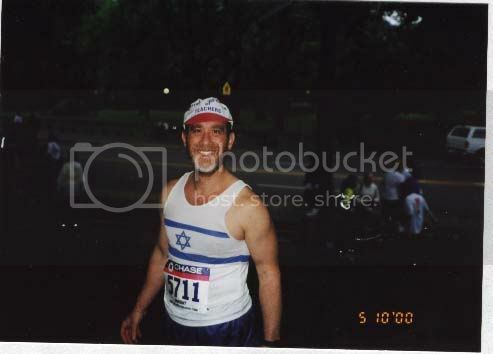 The sight of the monument in its desecrated state was heartbreaking, but I kept saying tehilim when I passed by, and I remember leaving a card shortly after 9/11. Early in this decade the bust and marble block were removed when the entire Grand Army Plaza underwent a major renovation. The renovation was completed, a brand new grafitti-proof pedestal was put in place, but the bust was not returned. Four years ago I wrote a letter to the Prospect Park Alliance (a public-private partnership that manages the Park for the city) inquiring about the monument, and received a response to the effect that a new mounting scheme was necessary and needed approval from the city's art commission among other bureaucratic hurdles. In New York such things can take forever, and I wondered if I would see the bust again before I was old and grey. Then last week I was running through the Park, and lo and behold there was the bust, beautifully mounted on the "new" (by now four years old) pedestal. Incredulous, I ran up, circled the monument, examined the inscriptions (the name, dates and quote were there, but not the name of the Brooklyn Borough President that was on the original), recited a couple of Psalms and shed a tear or two. Several days later I returned with my camera and took the photograph that you see here. The President's birthday is on Shabbat this year, so I will not be able to visit. I remember when he was in the White House children, myself included, sent him birthday cards. I hope there will be fresh flowers at the monument, as well as at the grave at Arlington. May the President's memory be an inspiration for generations to come, as his service to the nation was to mine. Mah Nishtanah? Is Israel another Iran?